A true to type, extremely likeable young stallion, bred strictly after Psi’s station’s recipe of success. Sandro’s Adel attracts with his supple movements traveling through the body, complemented by a ground-covering walk, but also an always uphill canter and an impressive jumping quality: First-class in view of technique, bascule and, first and foremost, scope. 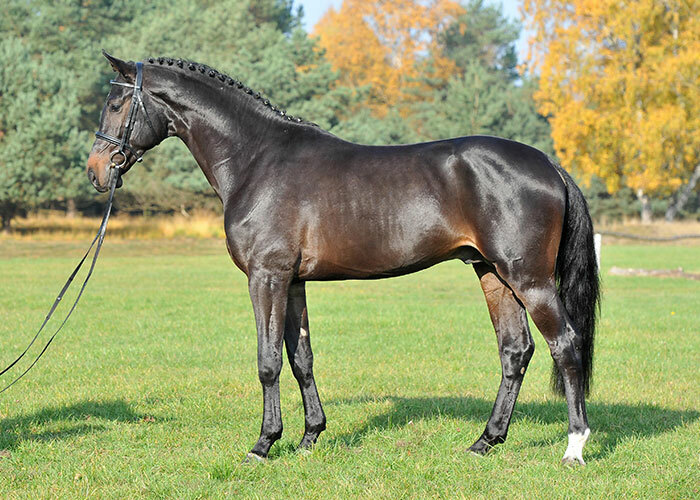 The best genes of the European sport horse breeding are united in the pedigree of Sandro’s Adel: The sire, Sandro Boy, won with Marcus Ehning in 25 advanced (S) level show jumpings and chalked up more than 1.2 million Euro in competition winnings. Special highlights were the victory in the World Cup final in Kuala Lumpur and in the Grand Prix of Frankfurt or the second place in the total result of the Riders Tour 2010. 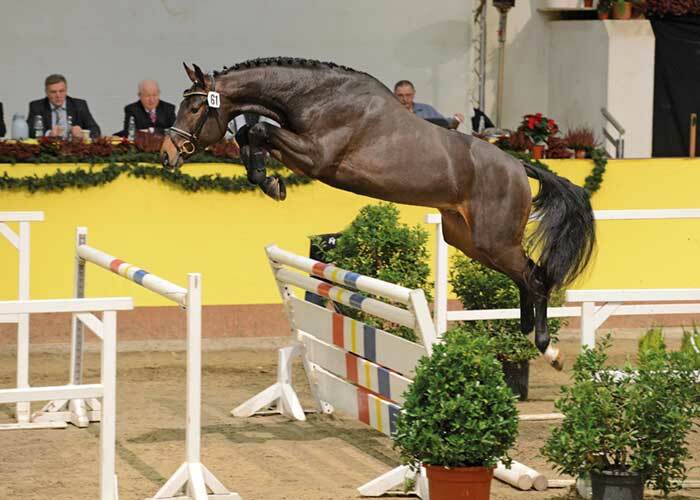 The dam’s sire, Centadel, is internationally successful under Florian Meyer zu Hartum at the moment, and Kannan, found in third generation, is a stallion, who produced an infrequently high number of show jumpers for the international show jumping. 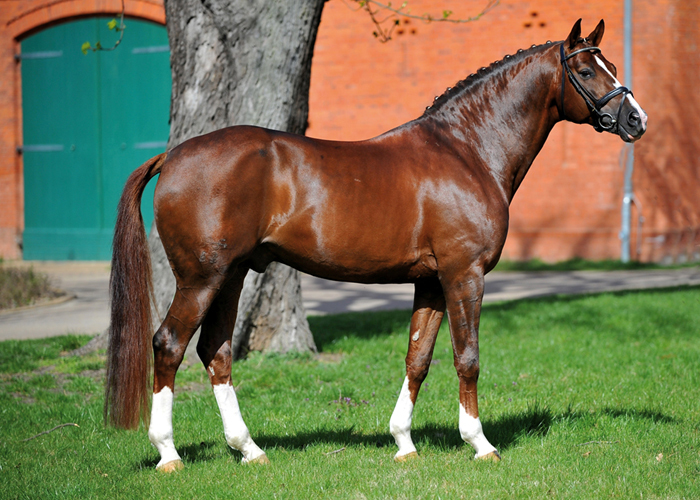 Also Papillon Rouge, found in fourth generation, is an European legend in show jumping and jumping horse breeding. 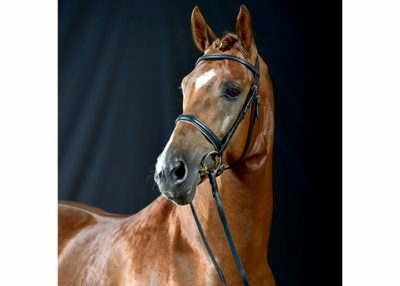 The great granddam Impala Rouge produced, when bred to Chacco Blue, the licensed stallions Chacco Rouge (private stallion France). The French dam line underlines the international quality of the pedigree.